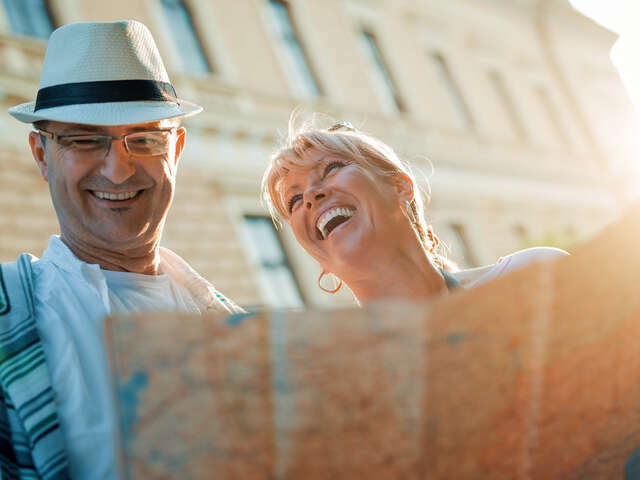 Reducing stress, boosting antibodies, encouraging positivity … these are just a few of the ways travel can help you live longer. Not like you need another reason, but we thought you may like to know that travel is not only good for your soul, but it is also great for your body and brain too. A study by the Global Commission on Aging, the Transamerica Centre for Retirement Studies and the U.S. Travel Association found that travel helps prevent depression, dementia and Alzheimer’s Disease, especially for retirees. It also helps prevent heart disease and heart attacks too! So what are you waiting for? Studies have shown that women who go on holiday at least twice a year had a much lower risk of heart attack and heart disease than women who didn’t travel. Men, we haven’t forgotten about you, travel benefits your health as well. The same study also found that men who don’t travel at least once a year have a 20% higher risk of death and a 30 percent higher risk of dying from heart disease. If that isn’t enough to make you book a trip and smile, then this will: Travel also makes you happier! Findings indicate that 86% of the people who travel feel more content with their lives compared to 75% who don’t travel. Which group would you rather be in? Researchers also revealed that travel does a lot of different things for us personally and all of them have a positive impact on some aspect of our being. Even dreaming of and planning a vacation gives us something to look forward to and that in itself is an automatic mood booster. Stay healthy. Once on vacation, you may find yourself in a destination where locals lead healthier lifestyles, this influences you in a positive way to do the same. You may also discover you are walking more as you get out and explore a new place. These things have a positive impact on your physical health since diet and activity level are directly related to how healthy you are. Start your trip of on a healthy note by training ahead of time. No need to train for a marathon, simple get out and walk more and take the stirs when possible. This will boost your health and prepare you for activities while away from home. Remember this doesn’t have to stop once you vacation is over, a healthy lifestyle doesn’t have to begin and end with Vacation! Once on holiday keep a travel journal and make notes on what the locals are eating and write down some of your favorite dishes. When home, try to incorporate some of these items into your meal planning. Have you heard of Voluntourism? It getting quite popular these days because it feels really good. Not only do you get to travel and see the sights, but you also pick up a sense of purpose and importance by helping people in need. Interested in Voluntourism? Ask your UNIGLOBE Travel Specialist to help you find the trip that is right for you. Want to reduce chances of Alzheimer’s? Studies have shown that regularly exercising your brain helps sharpen the mind. It may be challenging at times when you’re trying to find your way around a map or communicate with someone who speaks a different language, just remember, your brain is getting a good work out. Even just being in a new place stimulates the brain, creating new neural pathways which help improve your mental focus and your memory. As it turns out, travel is part of a healthy lifestyle that can help improve the duration and quality of our lives—and there’s even research to back it up! Where will your next healthy adventure take you? Ready to start planning, call your UNIGLOBE Travel Expert today.